A key reason to use network tracing instead of tools such as Charles Proxy is that it will work on all iOS versions and devices without trusting any third party security certificate profiles. This is not the case with proxying tools due certificate profile requirements in place since iOS 10.3. Tapping OK will enable network tracing. It can be disabled by force-quitting the app. 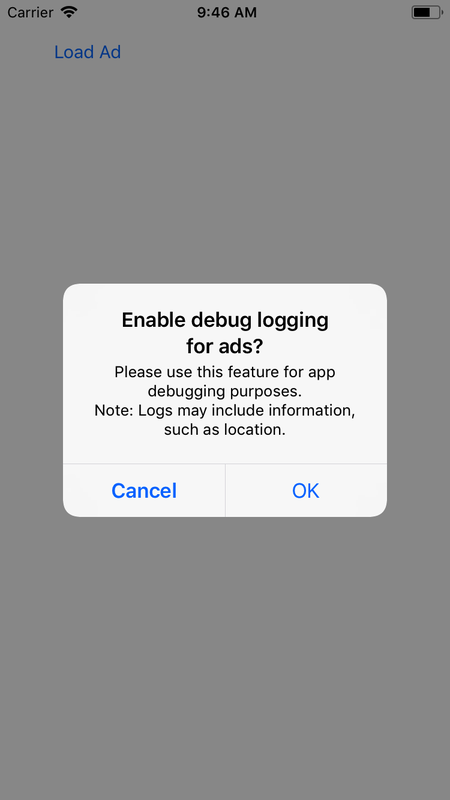 When network tracing is enabled, the Google Mobile Ads SDK logs network events to the console. You can then provide copies of the logs to our engineers for analysis as a private reply on the developer forum. You can then provide copies of the logs to our engineers for analysis.